At Hoerr Construction, we provide expert sewer maintenance, cleaning & inspection services to ensure the smooth operation of your system, and extend its lifespan. All of our CCTV technicians are PACP Certified to ensure we provide quality data regarding your sewer line conditions. 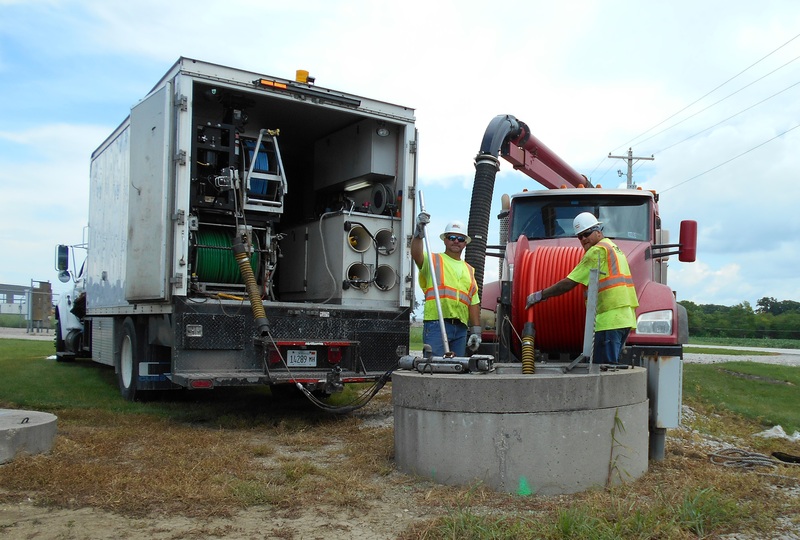 • Sewer cleaning and jetting for debris removal, and blockage clearing in sewer pipes. • Root sawing and protruding tap removal for removal of tree roots and obstructions clogging your sewer system. We have a wide range of hydraulically driven & robotic tools for obstruction removal. • Video inspection and defect reporting to identify blockages, root intrusion, leaks and other issues using state-of-the-art CCTV equipment. Our efficient data collection and reporting along with recommendations for remediating problems makes us the premier regional provider of sewer line inspection. • PACP (Pipeline Assessment and Certification Program): certified technicians ensure that we comply with industry best practices. PACP software allows for seamless data sharing with municipalities using our video inspection and defect reporting service. • Lateral inspection with mainline launch and locating capabilities allows us to inspect laterals with minimal invasiveness and maximum effectiveness. • Smoke testing & dye testing for fast and easy detection of inflow and storm water infiltration. Hoerr Construction offers professional sewer maintenance, and trenchless sewer repair for municipal, commercial or industrial settings. Let us help you avoid costly and disruptive problems, by providing value-driven inspection and maintenance solutions. Request a quote for your project at no obligation.